Kolding is a Danish city. 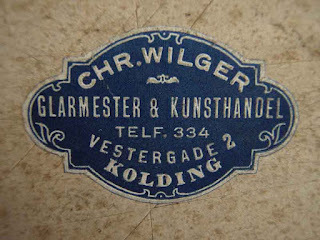 From German: Glarmester: Glass master ?, glazier. Kunsthandel: Art Galleries? From Blogger Eolake Stobblehouse, http://eolake.blogspot.com/ , born in Denmark. 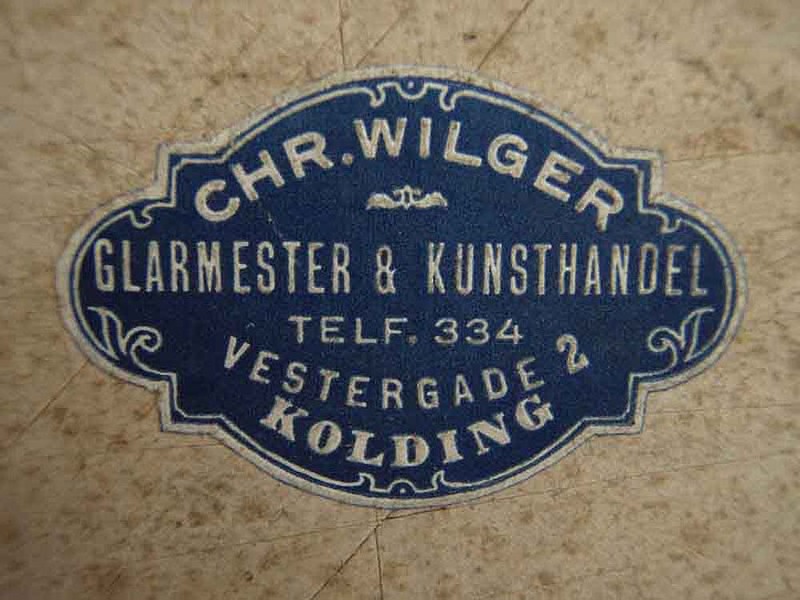 “Kunsthandel” is art dealer in Danish. Not a gallery, more like a shop with tons of paintings and frame. “Glarmester” means one who installs windows. (“Glar…” glazing.) So they probably do framing too. “Kunst” is art, both in German and Danish. And “handel” is store or dealing in Danish, I think in German too."